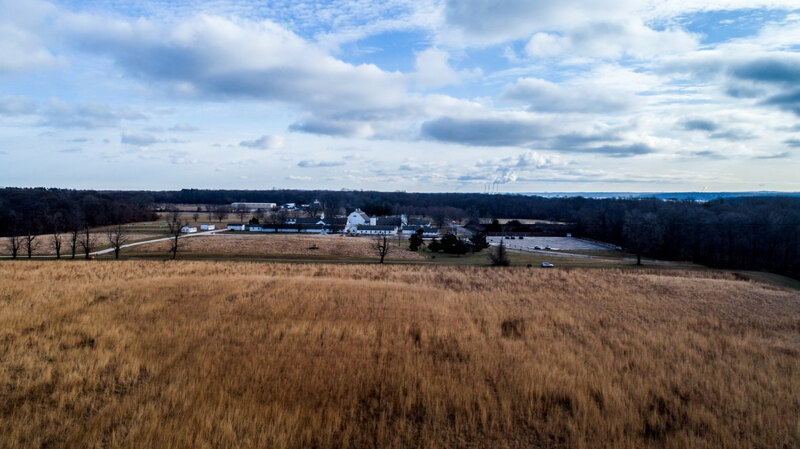 flew her personal drone to obtain aerial photographs of the restoration field. 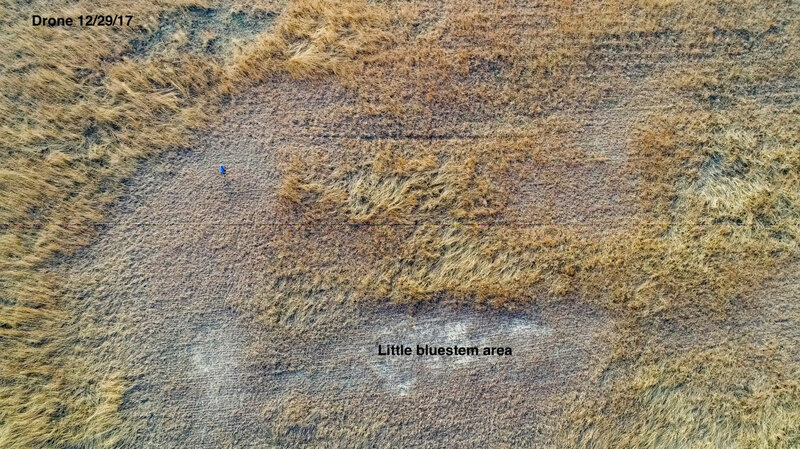 Close up look at concentrations of Little Bluestem in the northeastern section. 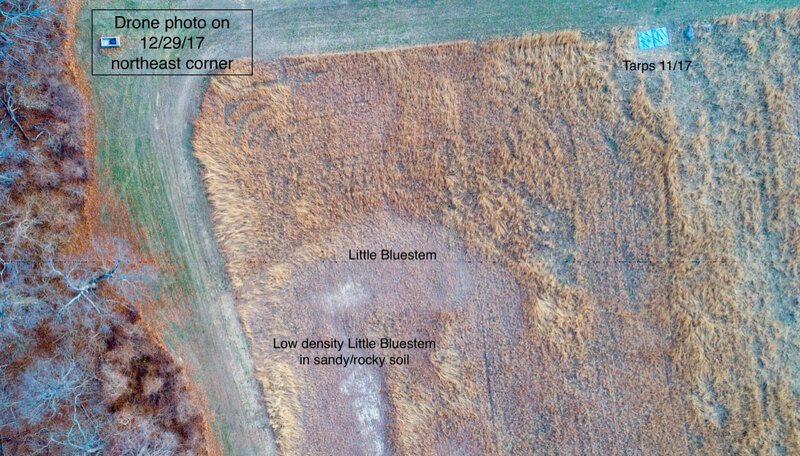 This is one of the areas that was severely eroded in August 2014 leaving behind a sandy rocky substrate that seems to favor Little Bluestem. Looking north to south across the restoration field. 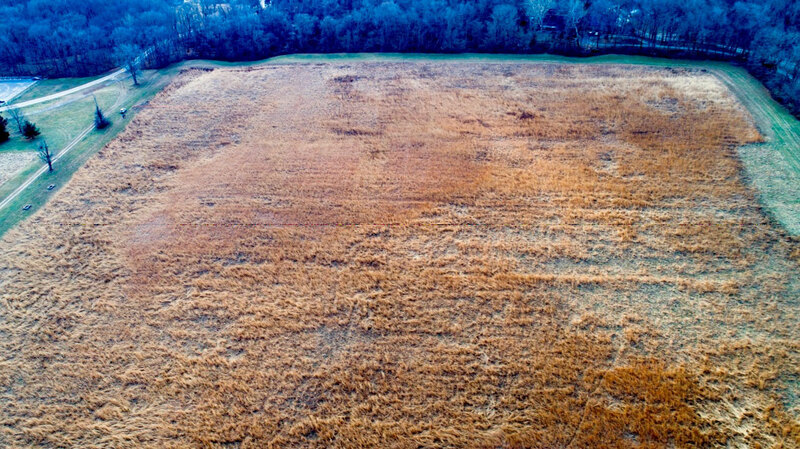 More aerial shots of the field. 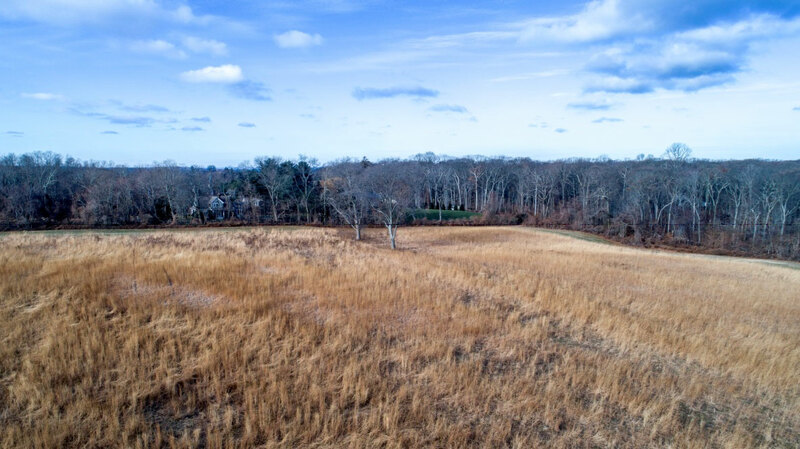 Looking northwest across the restoration field.